Need something made to your own specifications? Our kitchen equipment is predominantly made from stainless steel (although we can provide other materials on request) as it is the most hygienic and modern way to clad your commercial kitchen. You can be sure it is made to stand the test of time and by far the easiest way to keep clean, ensuring that your kitchen meets today's stringent health and hygiene laws. Our fabrication team can manufacture all types of kitchen equipment products to your kitchen’s requirements from 304 quality stainless steel, providing safe and hygienic surfaces for the preparation of food. Air movement is crucial factor in thermal comfort. 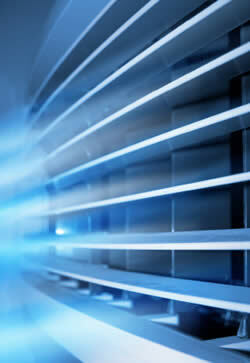 If air is stagnant in artificially heated areas it can contribute to musty odour problems and feelings of stuffiness. Whereas small movements of cold air can be considered draughty and unpleasant. But in a warm or humid environment air movement can be preferable as it helps with heat loss without any change in the air temperature. 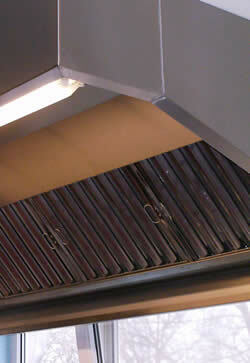 In a commercial kitchen environment with high temperatures and cooking odours, an intermittent or constant air movement can help with the comfort of staff. Any dangerous fumes and vapours must also be removed from the cooking area and immediately discharged. In modern restaurant design it is common for the kitchen to be open plan with the seating area so it is crucial that air movement keeps heat, noise and cooking odours within the cooking area and away from customers. The diners' thermal comfort adds to the overall enjoyment of the dining experience. 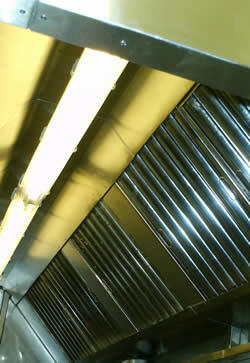 Heat / Fume Extraction and Vapour Extraction in a commercial kitchen need to combined into one single unit. This presents a challenge for the system as it needs to separate the heat and fumes from the water vapour. Centrifugal force is used to transfer the water vapours to a baffle filter, the water is then channelled and removed every few days by removing a grease cover. Heat / Fume extraction is then performed and the air is discharged through the ductwork either externally or through a heat recovery / heat exchanger system to recycle the heat to other parts of the building.